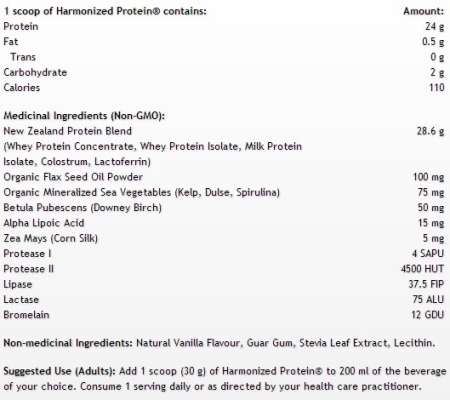 Harmonized Protein features a synergistic blend of 5 high quality, New Zealand sourced proteins. It also provides liver and kidney support to ensure that you can digest, absorb, utilize and eliminate without causing any undue stress on your body. All of the ingredients are designed to be in balance and to work in harmony with each other as well as with your body. Harmonized Protein is professionally formulated and energetically balanced and contains no artificial flavours, colours, sweeteners or preservatives.